Michael Beaver I've written so much code to this album. It quickly takes me deep into thought and always seems to ebb and flow at exactly the right moments. Favorite track: Don't Leave Home. Maikeru This album is the perfect balance of repetition and variety to where it never becomes boring but is never clamoring for your attention. My favorite times to listen to it are when working or driving, it really helps get me into a state of flow. Andrew Spraggon (aka SOLA ROSA) grew up in Auckland listening to 80's Euro-electronica, but before too long became hooked up in the guitar movement, resonating under the influence of various credible rock artists. Spraggon spent 6 years as lead guitarist and vocalist with Auckland based band Cicada, a vibrant, angular, rock guitar act which toured the length and breadth of New Zealand in the mid 90's. Cicada went on to release two records: 'Oscillator' a five track CDEP in 1995 and a full-length album 'Soup Sonic' in 1998. Andrew's musical path was veering away from guitars however and branching out into more eclectic musical genres such as 70's funk and reggae - the musical taste buds needed whetting again. "I needed to try out the studio thing for a while, it felt like a natural progression for me". So, in November 1998 SOLA ROSA was born, and the 'Starter For 4' CDEP was recorded after a few sessions at a dark dingy little studio on K' Road in Auckland. Unsure of people's reaction to his move into electronic based music, Andrew pressed only 50 copies - all of which quickly flew out of the limited amount of retail stores that had sold them. A further 400 copies were quickly pressed, and Andrew continued to push them into the shops himself. 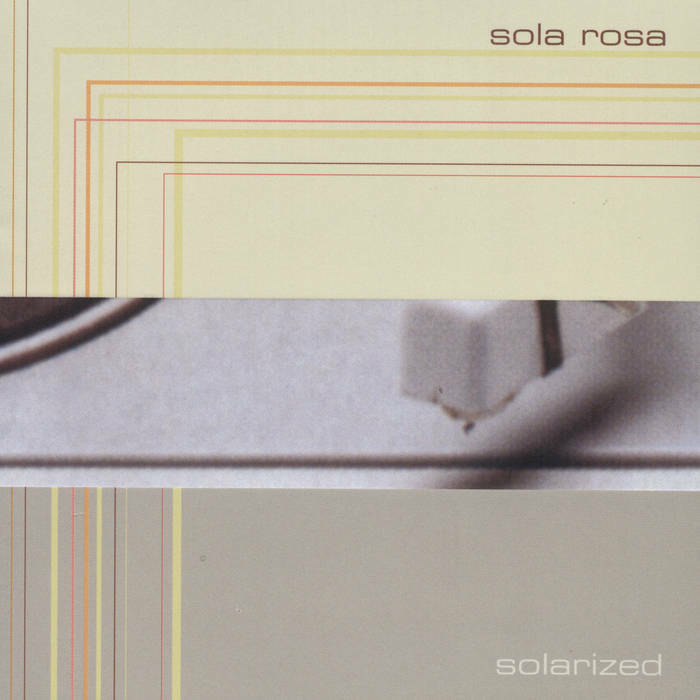 SOLA ROSA's next venture took him south to Dunedin and with the help of friend and producer Dale Cotton, they recorded the 'Entrance To Skyway' CDEP, which was self-released in March 2000. Student radio station 95bFM picked up on the track 'Hi Five' (which also recently appeared on the 'Sideways' compilation CD and vinyl EP through Round Trip Mars/Different Drummer), and within a year 'Entrance To Skyway' sold over 1000 copies - something Andrew readily admits "completely surprised me". 2000 was also the year that SOLA ROSA took to the road again, playing sold out shows with SJD & DJ Slowdeck in Auckland, Dunedin and Queenstown, as well as The Gathering, Splore, and to a huge blissed-out crowd at The Grey Lynn Festival. 'Entrance to Skyway' went on to win b-Net's 'Best Independent Release of the Year' Award as voted for by the listeners nationwide. "It was a pretty good feeling as it was a reward for getting there without any record company hype and assistance. It meant that people recognised the music for being something good and genuine, not because they were familiar with the name or image". Now into 2001 and following hot on the heels of a freshly inked record deal with Festival Mushroom Records, is 'Solarized' the debut album. All the included tracks were arranged and produced by Andrew, with the recording and mixing duties falling Dale Cotton's way. A small array of musicians and instruments were used in the process, including a double bass, vibraphone, violins, violas, drums, percussion, electric guitars and basses. Stretching Andrew's sizeable talents over a full album's worth of tunes, this young man has revelled in the chance to show us exactly what he's capable of. And that, dear reader, is a lot. The sound is deep and groove-ridden in the same vein as 'Entrance To Skyway' but this time it's taken things several steps further along by fusing the live instrumentation and intriguing laid-in samples with Latin rhythms and 40's & 50's lounge music. The nine track album opens with 'Hawaiian Silky' and 'Mr. 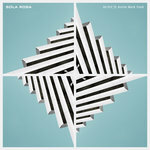 Shakes', two smooth concoctions of funky drumming, tremolo keyboard lines and horn riffs that really satisfy. All the while, the chiselled bass tones and wah guitar patterns hold the ingredients firmly in the mix. Bubbling 'found sounds' are stirred in for extra spice as the heady brew begins to work its charms. The low-slung and slinky strutting of 'Don't Leave Home' follows this - if you ever glided down a busy footpath with a sly grin on your face, this could have been the spooky anti-soundtrack. Clocking in at just over 6 minutes, this track takes it's own time and won't be rushed. Andrew's incredible attention to detail is clearly evident on the album, as he evokes a realistic range of moods and place from the cool, blowin' jazz feels of 'King Of Hush' (so vibrant, you could be in the club!) to the heaven-sent swing & melody of 'Me In Your Shadow'. Here we find meandering bass interplayed with laidback sax and dark cubanesque guitar lines - the tunes rise up with honeyed fingers and guide you through their wondrous paths. 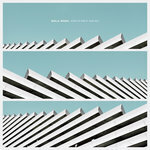 As the album shifts gears again, 'Mal Mono' takes us on an elongated ride into the futuristic visions playing out over the latest electronica map. A love for the genre is clearly laid out in Andrew's complex explorations into the art-form. Deep drum patterns carve out organic trenches, which are then flash-flooded with crisp harps, stringed patterns and teardrop triangles. The beguiling melody of the plush Turkish rug that is 'Sunset Over' with tumbleweeds and gunshots, this tune carries the listener over desert scapes of sand, allowing the shifting rhythms to swoop down on vast locations of mystery. Our devotion to SOLA ROSA's craft is rewarded with a tasty glimpse into the audible ether, as we are transported directly into 'Dual 35' - a twisting, wide open track that never threatens to outstay it's welcome. The cyclic patterns keep on spinning as human voices fade in and out of the sound headspace, while the Krautrock-solid bass grooves propel us along this massive highway. Closing tune 'Twilight Baby' is exactly that - a spine-tingling and angelic piece of beauty that wafts along upon (s)wings, flying into the setting sun and giving off a mesmerising sensation to all that has passed before. If 'inventive concepts' and 'creative constructs' were two phrases that needed to be used in a music appraisal, then they would apply here. The imagination and pure intelligence that SOLA ROSA has brought to this sparkling jewel of a debut album is unquantifiable, which ultimately leaves us to simply enjoy the record for all it's worth and to pronounce 'Solarized' as something that is…wickedly cool. Essential, in fact. 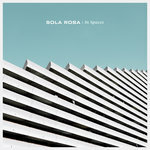 Keep an eye out for SOLA ROSA coming to a good venue near you soon. 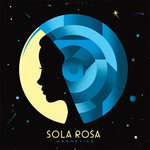 SOLA ROSA is expected out on a New Zealand headline tour during July.